The Open Your Eyes project kicked off in Sofia on November 15-16. 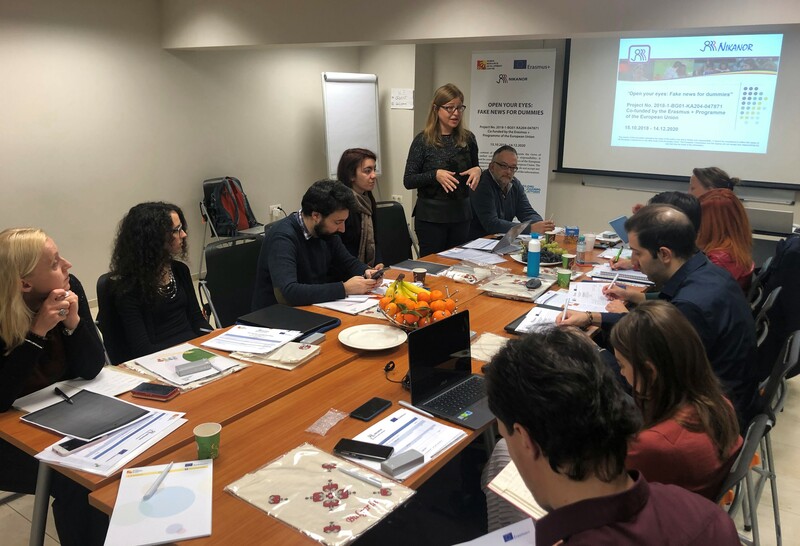 Seven partners from six European countries met in Bulgaria to open the first phase of works on the new KA2 project targeting adult learners and the spread of disinformation online. This first project meeting set the basis for the next 26 months of cooperation: the partners brought to the table their interests and expertise in the field of digital skills and online disinformation, agreed on the steps to undertake towards the realization of the first project output and set out a roadmap to define the following ones. After an introductory research stage conducted in several European countries, project partners will develop a database of best practices concerning fake news and disinformation which will serve as a reference to train a group of adult educators on the topic. Through a series of dedicated workshops, the educators will in turn support adult learners in developing their digital skills, raise awareness of the concept of fake news and provide them with the tools to combat it. Each partner will contribute to the project based on their area of expertise, which range from adult education to social network analysis, outreach and advocacy. Open Your Eyes is coordinated by Nikanor (Bulgaria) and sees the participation of other six partner organizations: OpenEurope (Spain), UPI – Ljudska Univerza Žalec (Slovenia), ADR Nord-Est (Romania), EU DisinfoLab (Belgium), Lifelong Learning Platform (Belgium) and Dlearn (Italy).